There was a previous post with the Deans and their stuffed cub. Photographers of the day would come around with their props and roll down backdrops to take photos. No roll down backdrop were used here, but the stuffed cub showed up again. 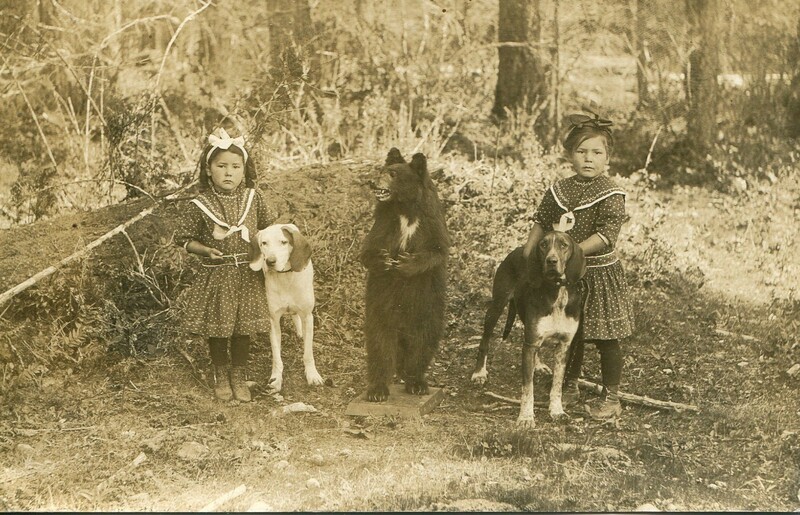 On the date (ca 1890s) the photographer took the picture of the Dean family and the cub, he (or she, I guess) also took these pictures as well. 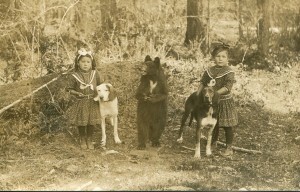 First photo: Clara and Bessie Jensen stand with the family’s prized hunting dogs. Clara’s mom would go on to become quite the hunter and featured in Sunset Magazine. Second photo: I don’t have names for everyone. The first man on the left is unknown. 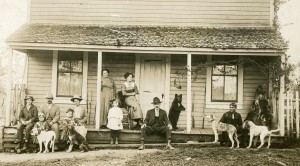 Then there is John and Clara Jensen with their daughters Clara and Bessie. 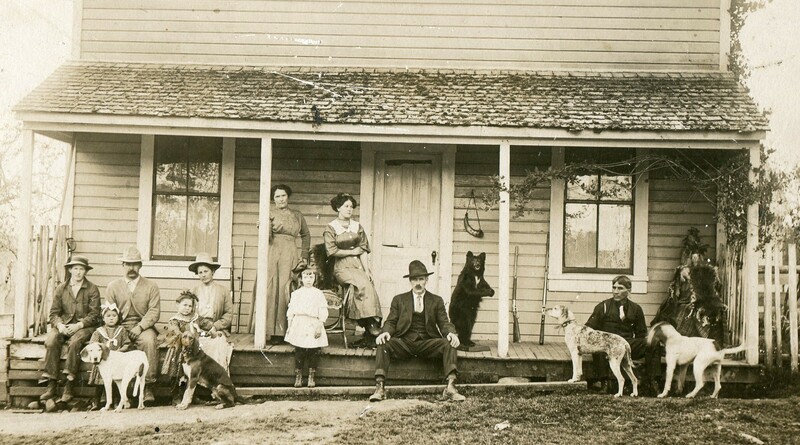 Daisy Dean (Evelyn Guske’s grandmother) is sitting on the porch to the right and George Dean is far off to the right with more dogs and the hides behind him. Photos Courtesy of Martha O’Neil and Evelyn Guske and facilitated by Abbi Wonacott.